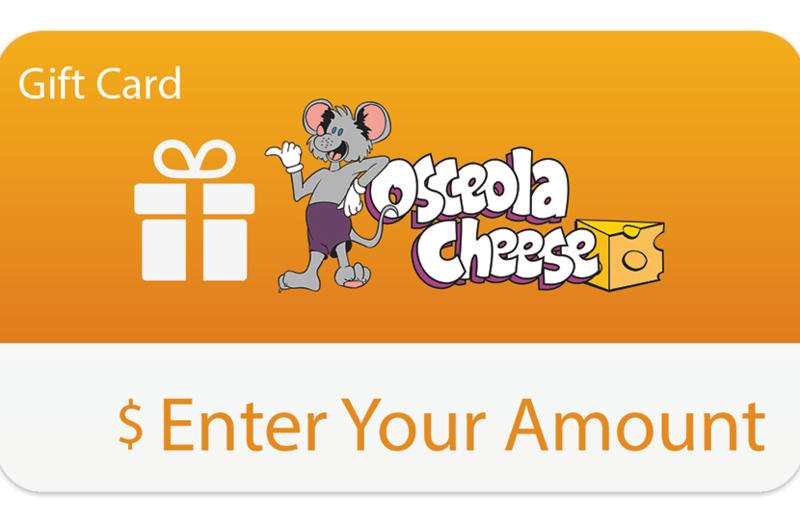 Send someone a gift card from Osceola Cheese. Enter the dollar amount below, add to cart, and checkout Then we will send them the gift card via email. The emailed gift card will contain a code they can use to purchase items on our website.